Perhaps it has already happened to you, when you had to transport your vehicle to a certain location, or when your vehicle ceased to work in the middle of the day, or in the middle of the highway. What did you do, then? 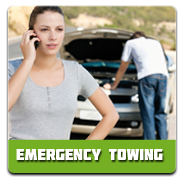 Probably contact some cheap tow truck service which you can rely on, to help you and send a tow truck to the place of incidence. Super Towing is your smartest choice! Towing is additionally used for private transportation of your car, from one location to another. In order to be successful doing so, you need to be served by a towing company with skilled technicians who are ready for the job. 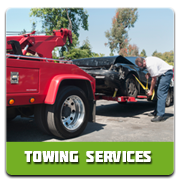 We will try to cover some common uses of towing services and some other important information regarding selecting a trustworthy cheap tow truck service. Tow trucks have some short history, which begins back in the beginning of the 20th century. This first tow truck was invented by Ernest John, in 1916. Nowadays, tow trucks are used daily for cases such as accidents or car breakdowns. There are a few types of tow trucks that are frequently used in the everyday life: Flatbed is the most commonly used type. It features a proper flat ground that can be inclined at the right angle to reach the ground and move the car onto the flatbed. Another type of truck is the boom truck. It has an adjustable boom winch that recovers cars which have been stuck in a ditch, or any other irregular place, where usual tow trucks can hardly reach. Super Towing Ottawa boasts an impressive selection of flatbed tow trucks. Yet another kind of tow truck – the hook and chains tow truck; it allows to place the car on the flatbed, chained by the heavy equipment, safely and securely; the boom which keeps all chains tight together. This kind of tow truck is not so commonly used nowadays, since the car’s bumpers might be scratched, but still, they may be used in specific cases, such as accidents, where there are damaged cars, with more than a single lost tire. There is another technology which is based on the model of hook-and-chain: the wheel-lift truck. The basic tool is a metal piece located under the rear or front wheels which needs to be towed. It is safely raises the car above the ground. A relatively new integrated tow truck is combined of these two technologies: the boom truck and the wheel-lift truck which are now combined as the self loader. It is frequently used to pick up illegally parked cars. 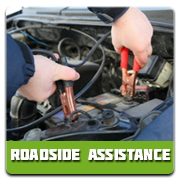 Cheap tow truck services can be used anywhere and are basically used all around the world. When contacting Super Towing, 24 hours a day, 7 days a week, you can be one hundred percent sure you will be fully satisfied and have your car back in a great condition.